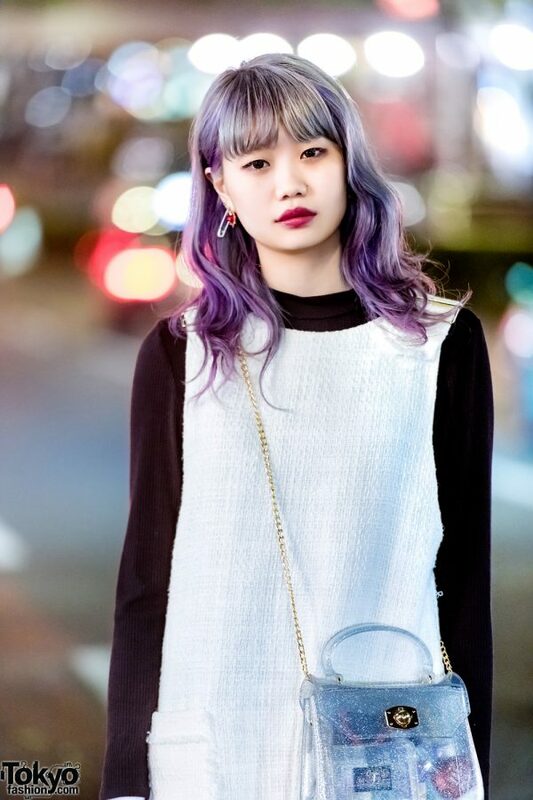 Once again we bumped into Elleanor, the popular 23-year-old style icon, model and punk rocker, whose different streetwear looks always makes her a striking attraction on the Harajuku street. 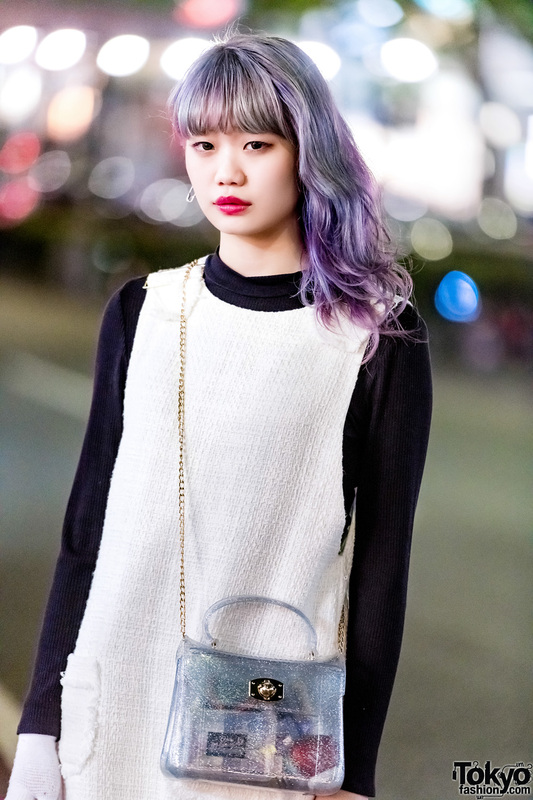 This evening, Elleanor – sporting grey and purple ombre hair – is sporting a chic monochrome style, featuring a white knit tunic dress with distressed hem from Zara, which she wore over a black ribbed sweatshirt. 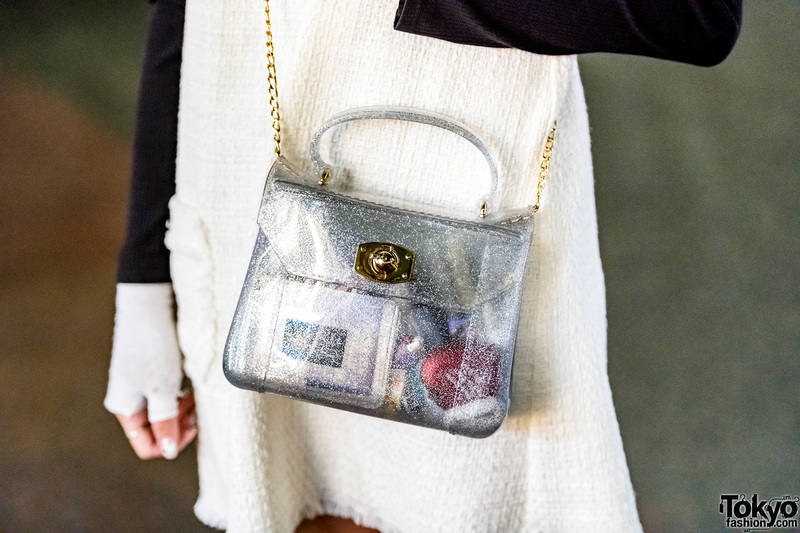 She finished her look with black suede booties, and a cute see-through glitter handbag with a gold sling chain from WC Harajuku. A safety pin earring and a heart earring on one ear, a white fingerless glove on one hand, a gold ring, and red lips rounded out her monochrome and minimalist style. Elleanor likes listening to Questions and Answers, and she is active on Instagram.